Today we are talking about coding in one of the most popular programming languages and the one with the big history behind, about PHP development. This language was first released on June 8, 22 years ago (1995). The amazing thing is, that despite all the problems and obstacles it had, the language is still one of the most popular and holds the 6-th position, according to TIOBE. For all these years PHP has gathered an astonishingly big community and had improved in many ways. It is considered to be one of the best languages for web development. 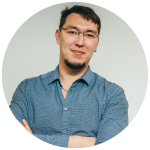 Let’s take a closer look at this “veteran” with our Senior PHP Developer – Yevhen. So, here are some questions for him to answer. Why did you choose to learn and code in PHP? I’ve decided to enter the road of development and programming relatively late (I was 25 back then) and PHP seemed to be the easiest and the most appropriate way to dive into development, software development in particular. I didn’t really like PHP, yes, I’ve got my stereotypes and I was rather discouraged to start with PHP. But I didn’t have time to learn Java or Python. I really liked C++, but I didn’t have any commercial experience like developing real software. Thus, I’ve decided I would start with PHP and then continue or proceed to another language more appropriate in another time. Eventually, I’ve discovered that the problem is not PHP, not a language, the problem is the developers, who are doing it wrong. Why was PHP loosing its popularity in past and what change helped PHP gain its popularity again? Well, PHP had and still has significant problems compared to other languages. One of them – lack of support for UTF-8 (Unicode). The support for Unicode is provided by some extra extensions like Mbstring and others. This led to some complexities and inconveniences, while developing some serious applications, there are quite a lot of really expensive applications to develop. For example, if you take Magento, you can’t say that it’s bad because it’s written on PHP, no, Magento does the trick, it’s really awesome in many ways. There were a lot of other concerns from the developers like inconsistent object model of PHP, constant changes in common with different patches and versions like Ruby features, traits from Ruby, Lambda functions, that don’t actually act like Lambda functions in other languages, the syntax which is really, really obsolete ($ sign for every variable). So there were quite some reasons for serious developers to stop using PHP. The most serious issue was the performance and PHP lost some positions when stable Java 8 was released. Then Python 3 came out, it wasn’t really smooth, but still had a better performance than PHP. Why is Laravel the most popular PHP framework? Well, I’m not sure if Laravel is really the most popular, probably it has become more popular later. I can tell you why it’s popular, because it uses Symfony components and Symfony is really proficient in developing a flexible application and releasing independent utilities. So Laravel allows you using the best features of Symfony framework without using the framework itself. Laravel is oriented on rapid development and when you develop with Laravel you don’t think too much about how the framework works, you have a lot of tools, you have a lot of utilities, you have a lot of call-generators and things like that. The most reliable point of the Laravel is the fact that it has the biggest community. Currently, as far as I know, Laravel has a bigger community even compared to Symfony. When you have a big community, you have a big variety of open-source extensions like pre-configured applications like with Symfony, but it took too long for Symfony to release version 3, cause they got stuck with the previous one and thus became obsolete. As for now, they have released the 3rd and the 4th version is coming up so the situation is a bit different. I’m not most of the Laravel, but as far as I know, it’s really handy in usage. On the other hand, you can not get through the Laravel framework really fast, as you can with Symfony. Right now I’m developing with Symfony 3 and I’m able to really easily migrate from this framework to another framework like Falcon, Laravel or YII in a couple of hours and it won’t be an issue. Is it possible to use Laravel and Symfony together? As frameworks, I doubt. It must be two separate services like two separate web applications. Though, if you use Laravel you are free to use Symfony components and, as far as I know, Laravel encourages to use Symfony components in their applications. Thus, Laravel took the best from Symfony and added something from themselves. Why would you advise to choose PHP for Web development? What future is there for PHP as a technology? I can’t say much as the last version (PHP 7) was released just recently. Though from the point of performance, PHP is not the best one again. On the other hand, it has a lot of nice features and currently, PHP allows developing much more secure and efficient applications than PHP 5 did. As for me, the future of PHP is not certain at the moment and they have to prove it is still on the cutting edge of the technology. Only the time would show. What would you change about PHP? So, after this conversation, I can surely tell that PHP, despite all its disadvantages, is a great solution for profitable and efficient web development. The number of PHP Laravel developers is outstanding, so it’s not too hard to build a team of experienced specialist. After all, the time has proven the reliability of this particular language. Click below to hire PHP programmers at Mobilunity. Don’t hesitate to request CVs of more remote php developers! We can help you to build your own dedicated team of engineers in no time and on very convenient terms. Are MEAN Stack Developers the Same as Full Stack Ones?